I love to find a new feather product that I can show all of our readers. 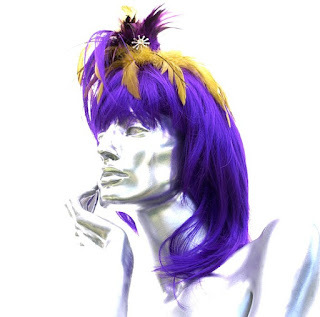 Feather wigs are such an amazing and yet obvious use of feathers. Think about it, if the birds can cover their bodies with feathers why shouldn’t there be products out there for us to cover our heads with feathers. That is beside feather hats, because wearing a hat that has feathers on it is very different, in my humble opinion than a feather wig. A feather wig is beautiful because when you wear one the feathers are taking the place of your hair. First we have this simple turkey hackle feather wig. Even though this is the most simple feather wig that we are writing about it is still really nice looking. 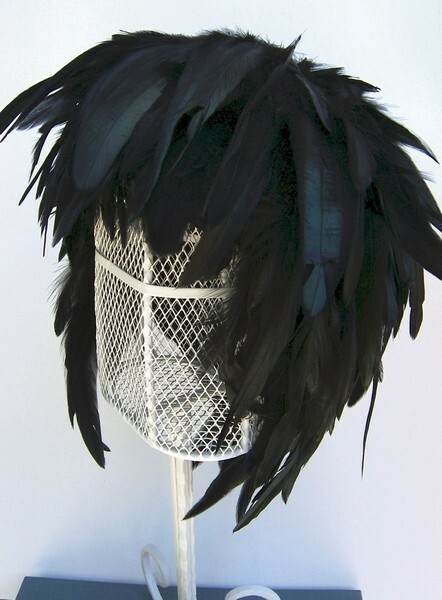 Next we have this raven black feather wig. This one is my personal favorite. It may be only because I like the gothic look but even though this is also a pretty simple feather wig, I think it is stunning. Last we have this amazing purple and gold feather wig head piece. Now this feather wig is a true work of art. Even the shoulder length purple hair is made from feathers. 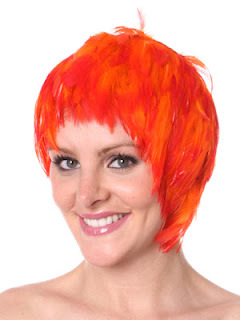 Post a link to any other feather wigs that you know about.